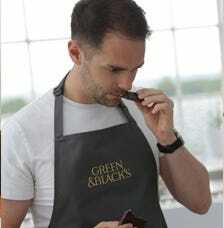 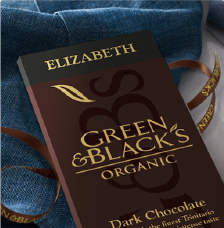 New from Green & Black's: the Velvet Edition dark chocolate range of premium chocolate bars and gifts. 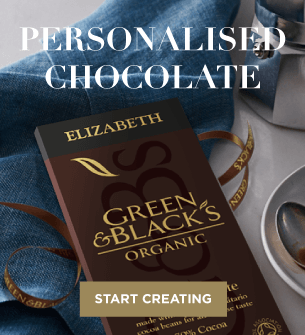 Order from our range of chocolate bars and chocolate bar gifts, the perfect indulgence for Christmas, birthdays, thank you's, anniversary gifts, Father's Day, Valentine's Day or as a get well soon gift. 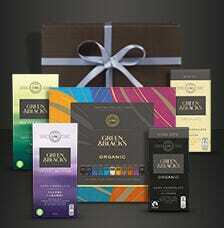 All dark chocolate including Raspberry & Hazelnut, Orange & Roasted Almond, Dark 70%, Mint, Sea Salt and Salted Carame. 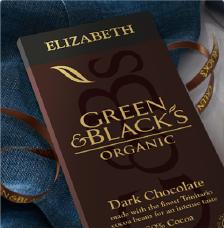 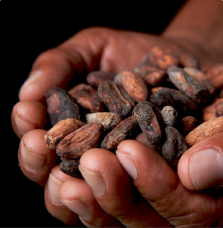 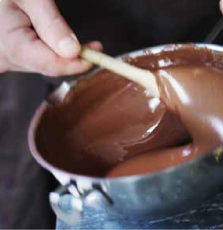 You can’t go wrong with a indulgent chocolate gift from Green & Black's for all occasions. 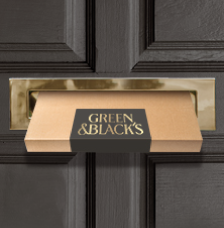 Dark chocolate gifts for all friends and family this year, all delivered to your door.